We are required to have parent volunteers in our classrooms daily in my district so I use Volunteer Spot to have parents sign up. Volunteer Spot allows parents to sign up for dates and times that I have posted. I can see who has signed up and when and so can other parents to avoid duplicates. 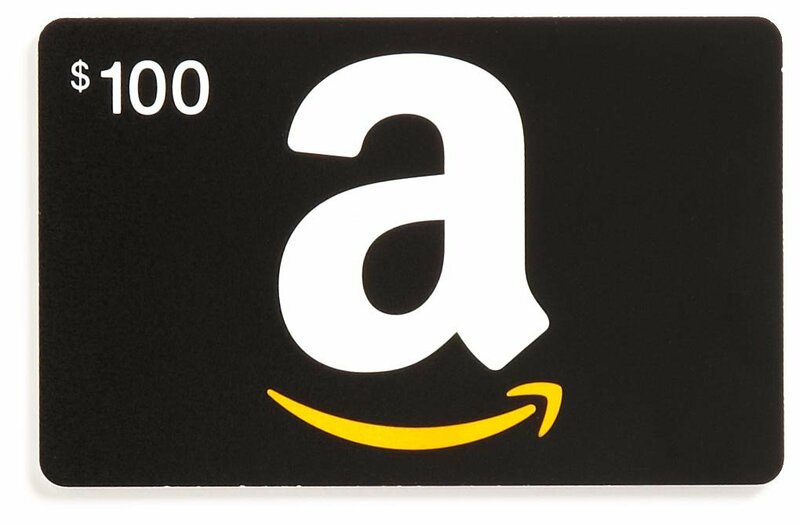 The online resource even sends reminders to parents. It takes me about 10 minutes to set up a new calendar each month. 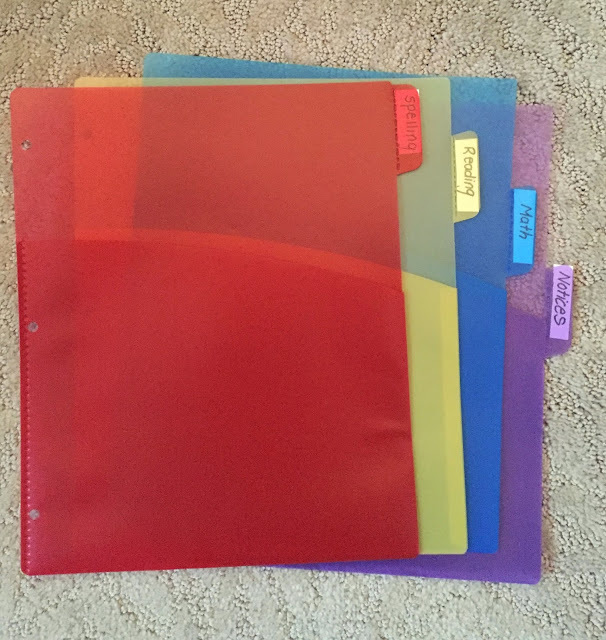 I have my students use a binder to organize their papers that go back and forth between home and school. 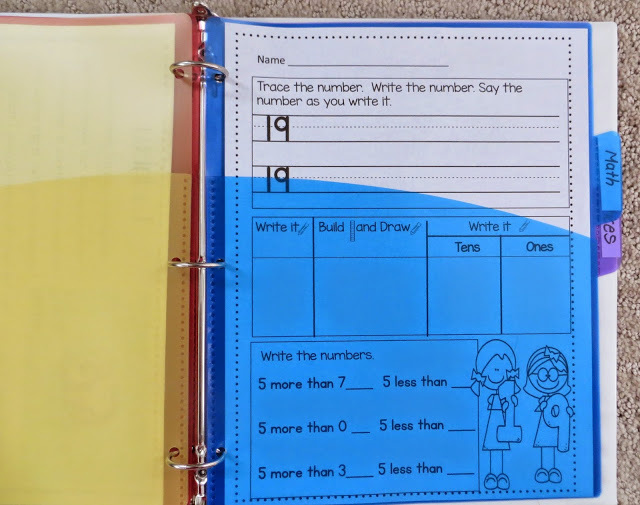 Each student has a 3 ring binder and 4 pocket folders that I label with subjects. Students place papers and assignments in the appropriate subject folders. This system not only teaches my students how to organize, it also has really helped cut down on the number of emails from parents asking me if there is homework, what it is, etc. 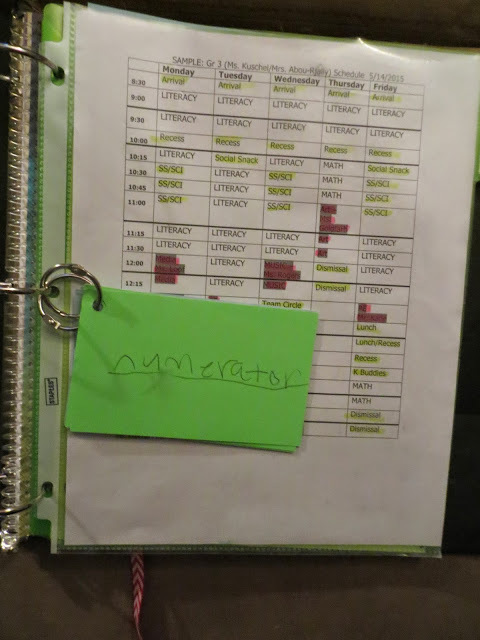 This student has the class schedule and spelling words for the week in his binder. The ribbon helps him to keep his place in the binder. Another trick that I use to save myself time, is that I do not change my bulletin boards. 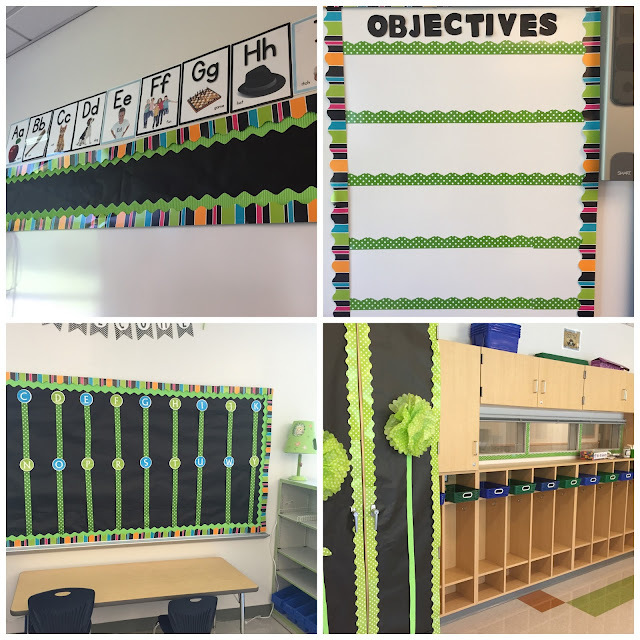 The background and borders stay the same-year round and they follow my color scheme for my classroom. The only thing I do change is the content that I add to the boards. I do almost all of my school work at school and I have stopped feeling guilty about it. I stay at school until about 4:30-5:00 each day and one day a week I make it a point to leave right after school so I can pick my son up at extended day early. During my prep times I work my tail off. My door is shut and I am busy the whole time. I am planning, making copies, answering emails, and so on. This helps to ensure that I can leave my schoolwork at school. When I'm home I spend my evenings helping my son with his homework. After he goes to bed I enjoy watching reality TV while stalking Pinterest, Facebook, Instagram, and Teachers Pay Teachers. This year to increase parent communication and to cut down on the amount of notices I send home, I am so excited to use a class Instagram account. This will take the place of a newsletter which I found to be soooo time consuming. 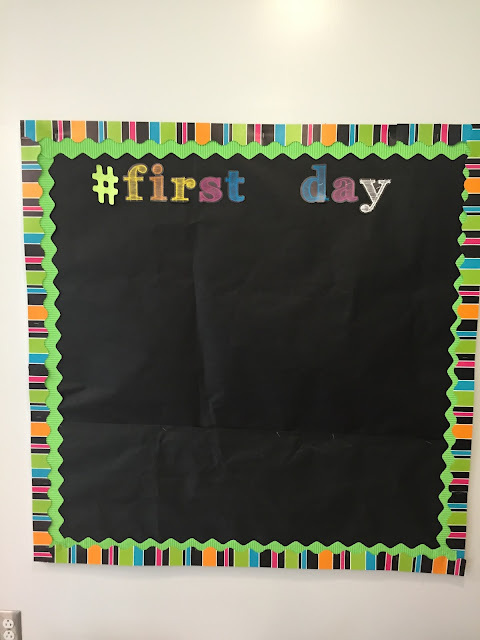 I even have a bulletin board dedicated to Instagram in our classroom. The account will be private. Our IG account will feature exciting events, projects, lessons, activity days, field trips and more. 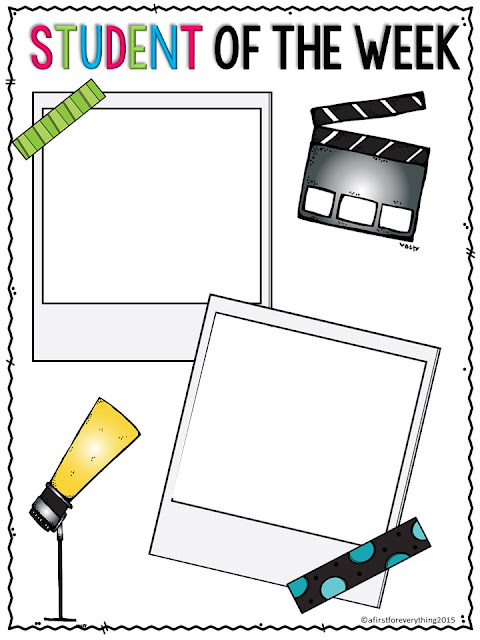 I will also be featuring a student of the week on our class IG. 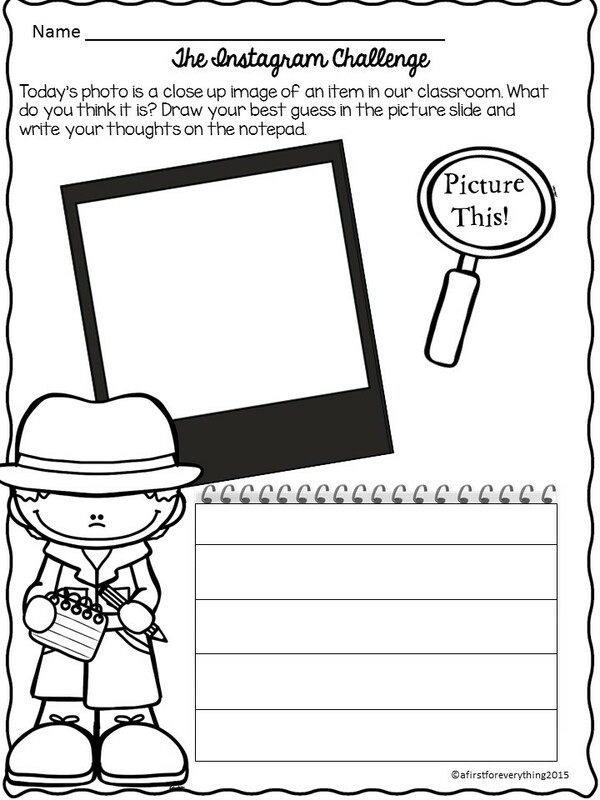 I am looking forward to using pictures to tell stories about our day which will in turn, save me a lot of time both at my desk writing a newsletter and at the copier running it off. 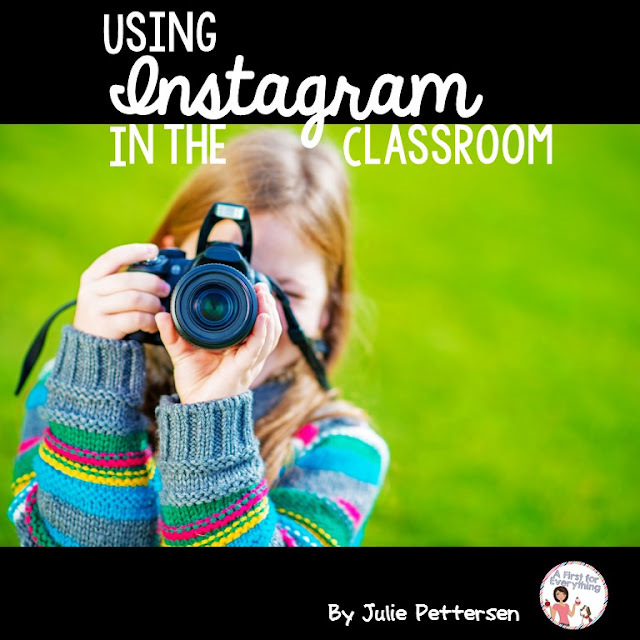 Are you interested in giving Instagram a try in your classroom? 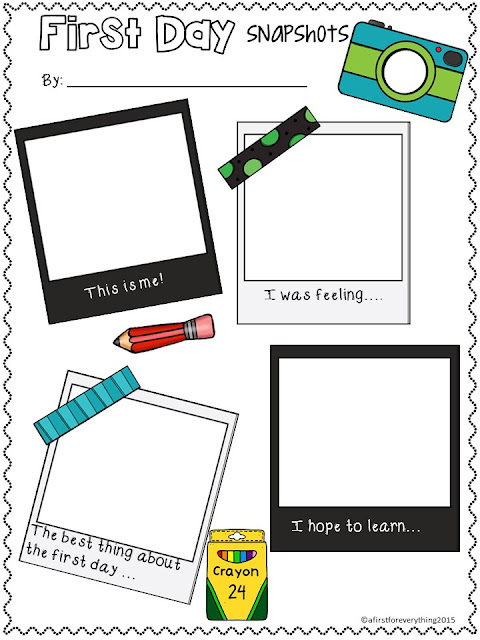 Check out Using Instagram in the Classroom for ideas, permission forms, activities and more!